De La Vali's 'Suki' dress has already been seen on the likes of Behati Prinsloo and Pandora Sykes. 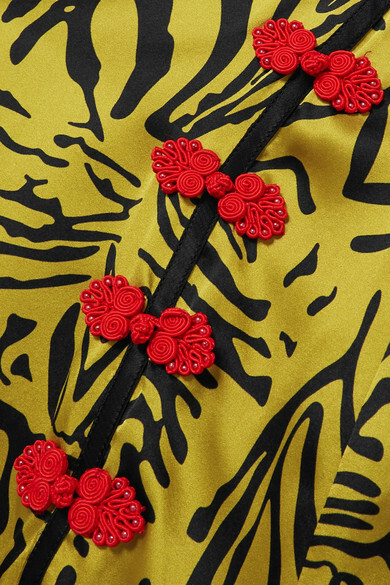 Made from silk-satin, this version from the Spring '19 collection is updated with a striking tiger print. 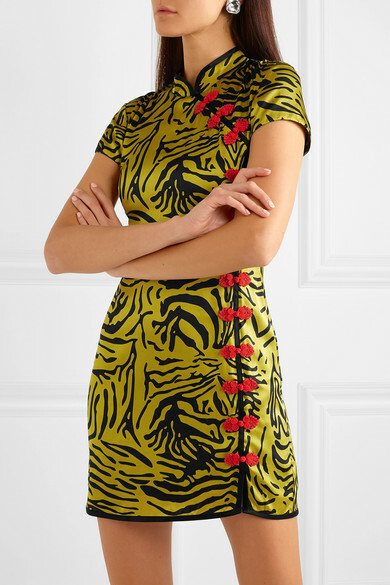 It's inspired by traditional cheongsams and has embroidered buttons running down one side - match your lipstick to the pop of red. Shown here with: BY FAR Clutch, Prada Mules, Alessandra Rich Earrings.